There was once a time when titles like Final Fight, Streets of Rage, Golden Axe and Double Dragon were the biggest draws in gaming, but the side-scrolling fighting genre has been unfairly sidelined of late. Thankfully, Singapore-based PD Design Studio is doing its best to turn things around, and we're proud to exclusively reveal that the company has been officially approved as a Wii U eShop developer — and that its side-scrolling fighter Dusty Raging Fist is coming to the Wii U eShop later this year. 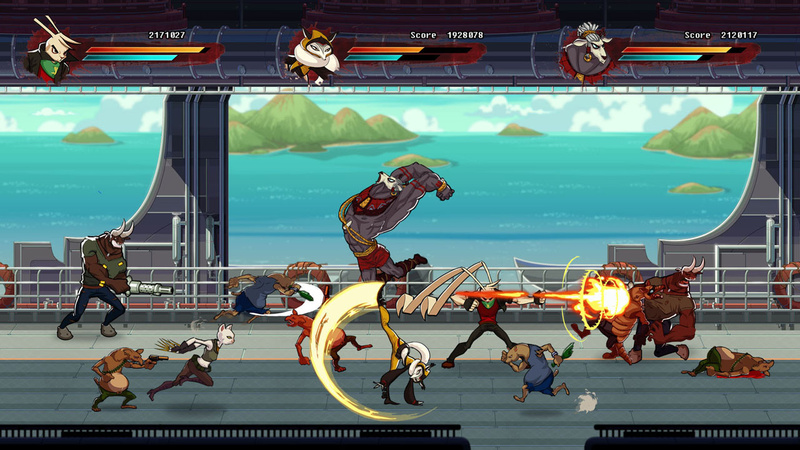 Based in the same universe as Mac-based fighter Dusty Revenge — which is currently on Steam Greenlight and can be seen in the trailer below — Dusty Raging Fist is shaping up to be quite an experience, with three player action and a trio of unique characters to command. We sat down with PD Design Studio's Keng Jin to talk about the game. Nintendo Life: Can you give us a little background information about your company? What other projects have you worked on? Keng Jin: PD Design Studio started in 2006 providing multimedia services. 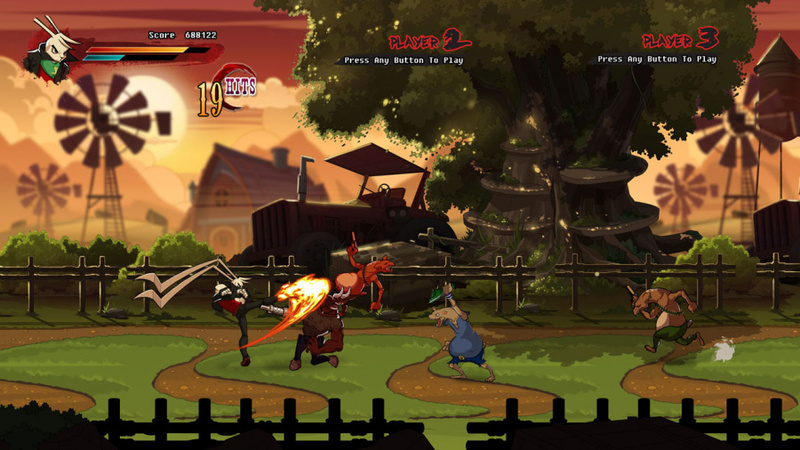 We found ourselves working on plenty of Flash Games for clients. Over the years, we developed a couple of prototypes, and in 2010 we decided to take the plunge and focus on making games. We have a couple of small iOS titles as experiments, but Dusty Revenge is our main title. It will be released on the Mac platform in Q2 2013, with a PC release to follow. Dusty Raging Fist will be our second main title. NL: What unique features can we expect from Dusty Raging Fist? KJ: We’ll be bringing back the unique supporting character mechanics in Dusty Revenge, but in a more casual manner. 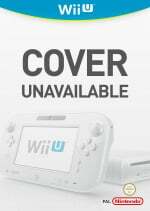 NL: What are your thoughts on the Wii U hardware? KJ: The hardware is actually very new to us, so we are still exploring it. I think the Wii U GamePad is really cool and innovative. NL: How does developing for the Wii U eShop differ from developing for other platforms, like Steam? KJ: In terms of development, we don’t see a huge difference. But due to the nature of GamePad, in terms of game design and user interaction, it does require some new thoughts. And that provides new and exciting ground for us to work on. NL: When can we expect to see the game hit the Wii U eShop? KJ: We hope to launch it in late Q3 or early Q4. NL: Do you intend to bring any other titles to the Wii U eShop? KJ: Now that we are registered developers for the console, we definitely want to capitalize on it. Having said that, we’ll only do so if the game is suitable for it. And right now, we want to focus on our current projects. Thanks to Keng for taking the time to answer our questions, and to the ever-resourceful Emily Rogers for arranging this interview. Ahhhhh bliss. This is very exciting news. Bring on more downloadable games like this please, Nintendo. Does this have anything to do with Dust: An Elysian Tail? It seems like too much of a coincidence for two games to be about anthropomorphic animals with hand drawn visuals on download platforms and the name Dust. Looks like another great one for the eshop! Looks really cool. I hope it's not too much like God of War, though, i.e. button mashing without thought. Is it an eShop exclusive? Can't find any more info on it. Wow this looks pretty sick. This one is noted down. Looks like it could end up good (animations & effects in the trailer look good, and the design sort of reminded me of Muramasa...just based on the trailer), not sure the genre has really been hit on a lot here recently, so seems like this could have a good audience. KJ: The hardware is actually very new to us, so we are still exploring it. I think the Wii U GamePad is really cool and innovative." I would suggest they take a look at Trine 2, as one quick eShop title with lots of control options, including GamePad. One big thing, I would say is to include Off-TV play...it's absolutely awesome for a parent with little ones. I hope it gets a worldwide release. I am all about side scrolling beat em ups. My type of game but lets hope the game can match greats such as Final Fight and Streets of Rage. The eShop's appeal just continues to grow more and more each day. This game looks OFFICIAL!!! I'm certainly getting this day one when it drops. There really is a shortage of these type of games, can't wait looks math ! Those are some seriously strange ears on that bunny. So many indie titles on a Nintendo system! It's a dream come true! Now that is the kind of game I want on the eshop. STinks not til Q3, but it looks like its worth the wait. Nice interview NL! Looks cool. Very much like Code of Princess. I'll probably download this when the time comes. Well that's exciting news. Even if this is just an average game I'll likely be downloading it. Love dem old-skool beat 'em ups! That looks great. Keep the games coming. old school beat-em-ups are awesome! If/when I get a Wii U, I really need this game. 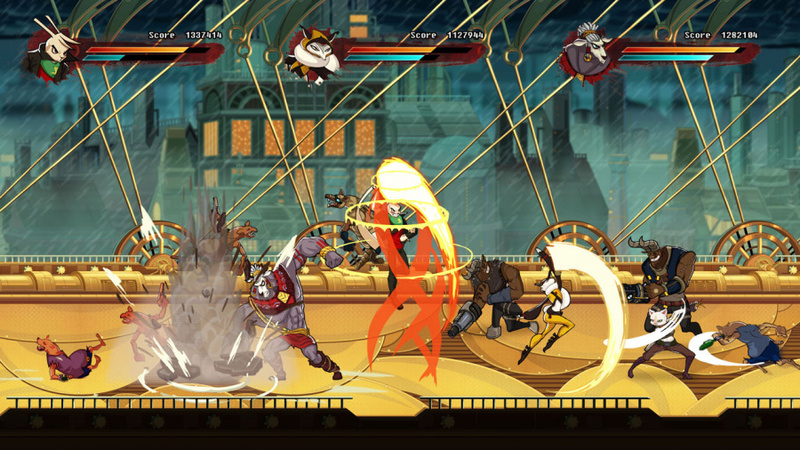 Nice, side-scrolling fighting genre can be great fun when done right. Can't wait to check it out and hear more. Nostalgic gameplay, oh how I missed the beat em up genre. I will definitely get this once it release on the eShop. I stopped reading after Streets of rage part on the article because 1. Another game for the eShop 2. I just had to say this: STREETS OF RAAAAAAAAAAAAAAAAAAAAGE! The world definitely needs more side scrolling beat'em ups! I'm looking forward to this one! Reminds me of that 3D bunny fighting game on the PC. Can't remember the name. Looks like another very cool download! Very nice! Thank you PD Design Studio. I will be purchasing this. I just saw the trailer and it definitely reminds me of the Final Fight./Double Dragon arcade games.It looks great so I'll keep my eye on it. I'm not too interested in this game, but I love the "helpers" idea. Great way to freshen up fighters and add new gameplay elements-Yoshi targeting bomb toss/ sniper rifle. That's just good innovation. At first glance this looks really good. Great hand-drawn sprites. Excellent animation. The helpers are a really cool idea too! However, I'm noticing that this, along with many other games labeled as "Final Fight" type games do not capture all of the mechanics that made games like Final Fight, Streets of Rage or Double Dragon great. First of all, in the video, I only see left and right scrolling. No up and down movement for the character. Absolutely key in a traditional "beat-em-up".